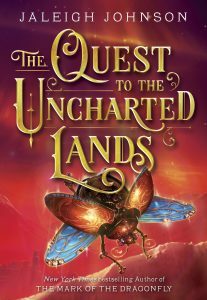 kt literary » Blog Archive » Kirkus reviews THE QUEST TO THE UNCHARTED LANDS! Kirkus reviews THE QUEST TO THE UNCHARTED LANDS! 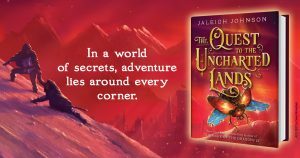 On June 13, New York Times bestselling author Jaleigh Johnson’s next middle grade fantasy, THE QUEST TO THE UNCHARTED LANDS, hits shelves. This is Jaleigh’s third book set in the magical world of Solace and it features a heroine who is an alchemist stowing away on an exploration to new lands. Read Jaleigh’s “Inspirations for Solace” here. ← Welcome to Our Newest Client, Conan Putnam!